Volkswagen, Peugeot and Ford were the top-selling motor manufacturing groups and car brand in Europe in 2009. The VW Golf was Europe’s favorite car model. The Volkswagen Group increased its market share to remain Europe’s top automobile manufacturer in 2009. VW was followed by Peugeot, Ford, and Renault. Volkswagen also easily maintained its position as the best-selling car brand or marque in Europe and was followed by Ford, Renault, Opel / Vauxhall, and Fiat. The European new car market weakened by 1.6% to 14,481,545 new passenger car registrations in 2009. The European car market weakened by 1.6% to 14,481,545 new passenger car registrations in 2009. Government tax incentives to replace older cars prevented a potential disastrous year in especially Germany, France, and the United Kingdom. In contrast to most other German car manufactures, Volkswagen had a good year in Europe in 2009 an increased market share. Troubled Swedish car manufacturer Saab slumped by 59.1%. Producers of smaller an cheaper cars had a better year. Top performers were Renault’s budget Dacia brand (+29.2%) and Korean manufacturer Hyundai (+26.6). 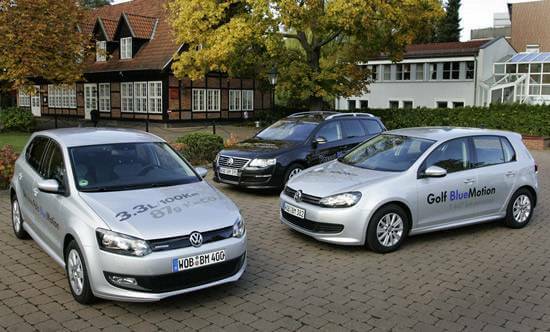 The VW Golf, the top seller in Germany in 2009, was again Europe most popular car followed by the smaller the Ford Fiesta. Note: ACEA car sales statistics are for the European Union (EU) and EFTA (Iceland, Norway, and Switzerland) but exclude the very small Malta and Cyprus markets.